Caitlin Strong and Cort Wesley Masters had just emerged from Esther’s Follie’s on East 6th Steet, when they saw the stream of people hurrying down the road, gazes universally cocked back behind them. Sirens blared off in the distance and a steady chorus of honking horns seemed to be coming from an adjoining block just past the street affectionately known as “Dirty Sixth,” Austin’s version of Bourbon Street in New Orleans. Caitlin was in town to speak at a national law enforcement conference focusing on homegrown terrorism, and both her sessions at the Convention Center had been jam-packed. She felt kind of guilty her presentations had lacked the audio-visual touches many of the others had featured. But the audiences hadn’t seem to mind, filling a sectioned-off ballroom to the gills to hear of her direct experiences, in contrast to theoretical dissertations by experts. Audiences comprised of cops a lot like her, looking to bring something back home they could actually use. She’d focused to a great extent on her most recent battle with ISIS right here in Texas, and an al-Qaeda cell a few years before that, stressing how much things had changed in the interim and how much more they were likely to. Cort Wesley had driven up from San Antonio to meet her for a rare night out that had begun with dinner at Ancho’s inside the Omni Hotel and then a stop at Antone’s nightclub to see the Rats, a band headed by a Texas Ranger tech expert known as Young Roger. From there, they’d walked to Esther’s Follies to take in the famed Texas-centric improve show there, a first for both of them that was every bit as funny and entertaining as advertised, even with a gun-toting woman both Caitlin and Cort Wesley realized was based on her. Fortunately, no one else in the audience made that connection and they managed to slip out ahead of the rest of the crowd. Once outside, though, they were greeted by a flood of pedestrians pouring up the street from an area of congestion a few blocks down, just past 8th Street. Caitlin practically collided with a young man holding a wad of napkins against his bleeding nose at the intersection with East 7th Street. “What’s going on?” she asked him, pulling back her blazer to show her Texas Ranger badge. “You need to get to an emergency room,” Caitlin told him, and pressed on with Cort Wesley by her side. 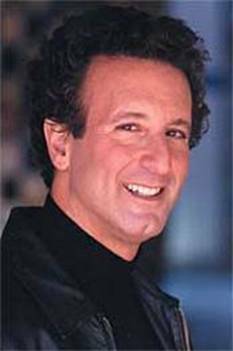 “Kid was no older than Dylan,” he noted, mentioning his oldest son who was still on a yearlong leave from Brown University. Stubb’s was well known for its barbecue offerings and, just as much, its status as a concert venue. The interior was modest in size, as Caitlin recalled, two floors with the bottom level normally reserved for private parties and the upstairs generally packed with patrons both old and new. The rear of the main building, and several adjoining ones, featured a flattened dirt lot fronted by several performance stages where upwards of two thousand people could enjoy live music in the company of three sprawling outdoor bars. That meant this graduation party gone bad may have featured at least a comparable number of students and probably even more, many of whom remained in the street, milling about as altercations continued to flare, while first responders struggled futilely to disperse the crowd. Young men and women still swigging bottles of beer, while pushing and shoving each other. The sound of glass breaking rose over the loudening din of the approaching sirens, the whole scene glowing amid the colors splashed from the revolving lights of the Austin police cars already on the scene. A fire engine leading a rescue wagon screeched to a halt just ahead of Cort Wesley and Caitlin, at the intersection with 7th Street, beyond which had become impassable. “Dylan could even be here, for all I know,” Cort Wesley said, picking up his earlier train of thought. This as fights continued breaking out one after another, splinters of violence on the verge of erupting into an all-out brawl going on under the spill of the LED streetlights rising over Stubb’s. Caitlin pictured swirling lines of already drunk patrons being refused admittance due to capacity issues. Standing in line full of alcohol on a steamy night, expectations of a celebratory evening dashed, was a recipe for just what she was viewing now. In her mind, she saw fights breaking out between rival UT fraternities mostly in the outdoor performance area, before spilling out into the street, fueled by simmering tempers now on high heat. “You see any good we can be here?” Cort Wesley asked her. Caitlin was about to say no, when she spotted an anxious Austin patrol cop doing his best to break up fights that had spread as far as 7th Street. She and Cort Wesley sifted through the crowd and made their way toward him, Caitlin advancing alone when they drew close. Hilton leaned up against an ornate light pole that looked like gnarled wrought iron for support. He was breathing hard, his face scraped and bruised. He noted the Texas Ranger badge and seemed to match her face to whatever media reports he’d remembered her from. “What brought you boys out here? Detail work?” Caitlin asked, trying to account for his presence on scene so quickly, ahead of the sirens screaming through the night. “Thanks for giving me permission,” she said, and steered back for Cort Wesley. “That looked like it went well,” he noted, pushing a frat boy who’d ventured too close out of the way, after stripping the empty beer bottle he was holding by the neck from his grasp. Four firemen were gathered behind the truck in a tight cluster, speaking with the two paramedics from the rescue wagon. The siren began blaring and lights started flashing, courtesy of Cort Wesley who’d climbed up behind the wheel. The crowd that filled the street in front of Stubb’s Barbecue saw and heard the fire truck coming and began pelting it with bottles, as it edged forward through the congested street that smelled of sweat and beer. What looked like steam hung in the stagnant air overhead, either an illusion or the actual product of so many superheated bodies congealed in such tight quarters. The sound of glass braking crackled through Caitlin’s ears, as bottle after bottle smashed against the truck’s frame. The crowd clustered tighter around the fire engine, cutting off Cort Wesley’s way backward or on toward Stubb’s. The students, their fervor and aggression bred by alcohol, never noticed Caitlin’s presence atop the truck until she finally figured out the workings of the truck’s deck gun and squeezed the nozzle. The force of the water bursting out of the barrel nearly knocked her backward off the truck. But she managed to right and then repositioned herself, as she doused the tight cluster of students between the truck and the restaurant entrance with the gun’s powerful stream. A wave of people tried to fight the flow and ended up getting blown off their feet, thrown into other students who then scrambled to avoid the fire engine’s surge forward ahead of its deafening horn. Caitlin continued to clear a path for Cort Wesley, sweeping the deck gun in light motions from side to side, the five hundred gallon tank still plenty full when the club entrance drew within clear view. She felt the fire engine’s front wheels mount the sidewalk and twist heavily to the right. The front fender grazed the building and took out a plate glass window the rioting had somehow spared. Caitlin saw a gap in the crowd open all the way to the entrance and leaped down from the truck to take advantage of it, before it closed up again. She purposely didn’t draw her gun and entered Stubb’s to the sight of bloodied bouncers and staff herding the last of the patrons out of the restaurant. Outside, the steady blare of sirens told her the Austin police had arrived in force. Little they could do to disperse a crowd this large and unruly in rapid fashion, though, much less reach the entrance to lend their efforts to Caitlin’s in locating the sexual assault victim. She threaded her way through the ground floor of Stubb’s to the stairs leading down to the private lounge area. The air felt like it was being blasted out of a steam oven, roiled with coagulated body heat untouched by the restaurant’s air conditioning that left Caitlin with the sense she was descending to hell. Reaching the windowless sub-level floor, she swept her eyes about and thought she heard a whimpering come from a nest of couches, where a male figure hovered over the frame of a woman, lying half on and half off a sectional couch. He started to turn, without raising his hands, and Caitlin fired when she glimpsed something shiny in his grasp. Impact to the shoulder twisted the man around and spilled him over the sectional couch, Caitlin holding her SIG at the ready as she approached his victim. She heard the whimpering again, making her think more of the sound a dog makes, and followed it toward a tight cluster of connected couch sections, their cushions all stained wet and smelling thickly of beer. Drawing closer while still keeping a sharp eye on the man she’d shot, Caitlin spotted a big smart phone lying just out of his grasp, recognizing it as the object she’d wrongly taken for a gun. Then Caitlin spied a young woman of college age pinned between a pair of couch sections, covering her exposed breasts with her arms, her torn blouse hanging off her and jeans unbuttoned and unzipped just short of her hips. Drawing closer, Caitlin saw the young woman’s assailant, the man she’d just shot in all likelihood, must’ve yanked them down so violently that he’d split the zipper and torn off the snap or button. The young woman tightened herself into a ball and retreated deeper into the darkness between the couch sections, not seeming to hear her. “Ma’am,” Caitlin said louder, hovering over the coed while continuing to check on the man she’d shot, his eyes drifting in and out of consciousness, his shirt wet with blood in the shoulder area from the gunshot wound. Caitlin only wished it was her own attacker lying there, from all those years before when she’d been a coed herself at the Lone Star College campus in West Houston. Some memories suppressed easily, others were like a toothache that came and went. That one was more like a cavity that had been filled, forgotten until the filling broke off and raw nerve pain flared. Caitlin pushed the couch sections aside and knelt by the young woman, pistol tucked low by her hip so as not to frighten her further. The young woman finally looked at her, nodded. Her left cheek was swollen badly and one of her arms hung limply from its socket. Caitlin looked back at the downed form of the man she’d already shot once, half hoping he gave her a reason to shoot him again. “Kelly Ann,” the young woman said, her voice dry and cracking. Kelly Ann’s features perked up slightly, her eyes flashing back to life. She tried to take a deep breath, but stopped halfway though. 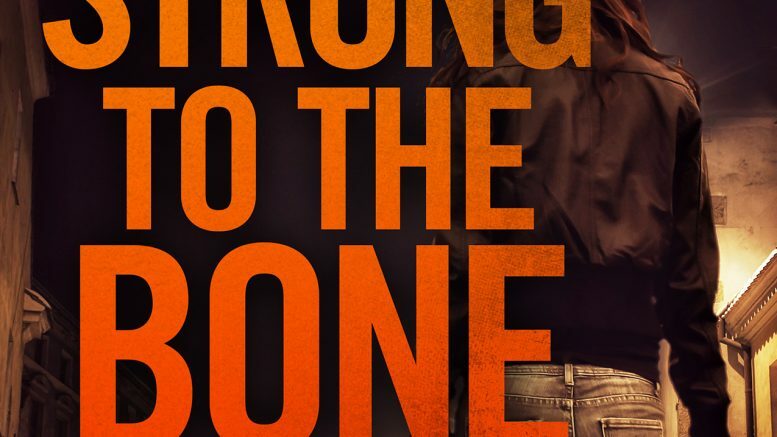 Caitlin held her around the shoulders in one arm, SIG clutched in her free hand while her eyes stayed peeled on the downed man’s stirring form. “I’m going to stay with you the whole way until we get you some help,” she promised. The building suddenly felt like a Fun House Hall of Mirrors. Everything distorted, perspective and sense of place lost. Even the stairs climbing back to the ground floor felt different, only the musty smell of sweat mixed with stale perfume and body spray telling her they were the same. Caitlin wanted to tell Kelly Ann it would be all right, that it would get better, that it would all go away in time. But that would be a lie, so she said nothing at all. Almost to the door, she gazed toward a loose assemblages of frat boys wearing hoodies displaying their letters as they chugged from liquor bottles stripped from the shelves behind the main bar on the first floor. How different were they from the one who’d hurt her, hurt Kelly Ann? Caitlin wanted to shoot the bottles out of their hands, but kept leading Kelly Ann on instead, out into the night and the vapor spray from the deck gun now being wielded by Cort Wesley to keep their route clear. “’Bout time!” he shouted down, scampering across the truck’s top to retake his place behind the wheel. Caitlin was already inside the cab, Kelly Ann clinging tight to her. Before he got going, Caitlin noticed Officer Hilton and several other Austin cops pushing their way through the crowd toward the entrance to Stubb’s. 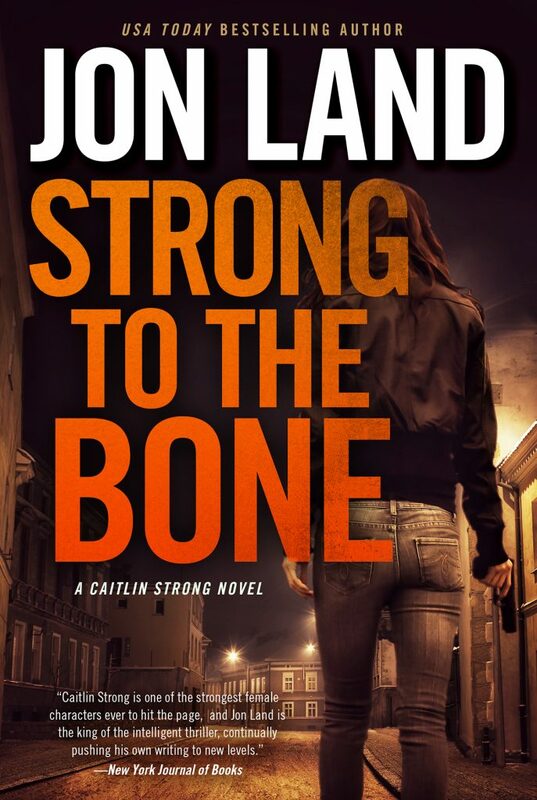 Be the first to comment on "“Strong to the Bone” by Jon Land (Partners in Crime Tour Stop)"